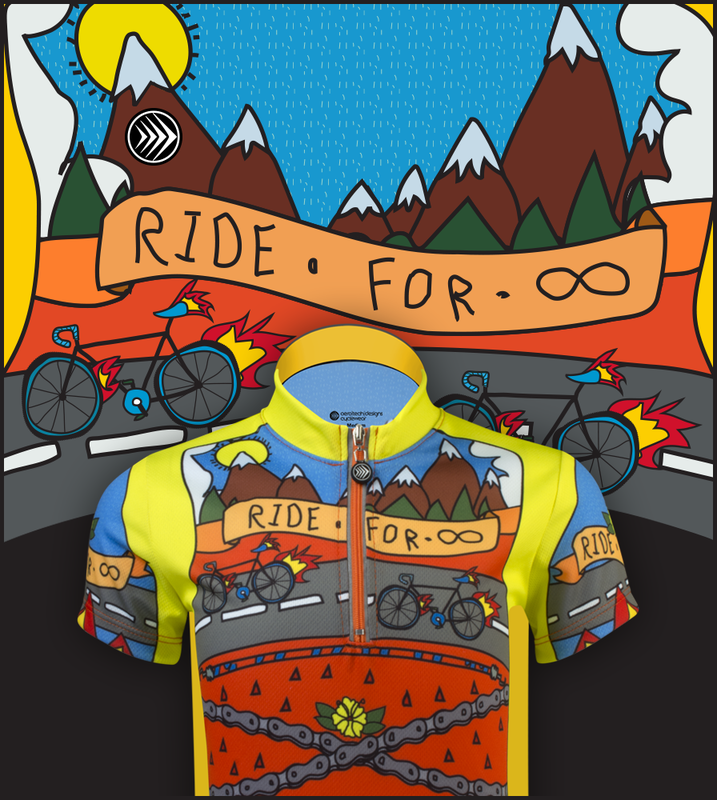 Aero Tech Design introduces the Ride for Infinity Youth Jersey for children who want to look great on the their bike! 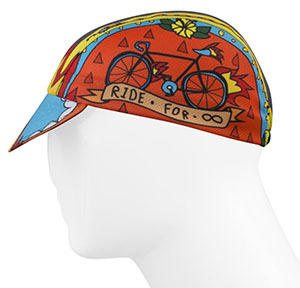 With 360 degree print coverage, this brightly colored and very unique graphics on the jersey will be hard to miss by anyone passing by. 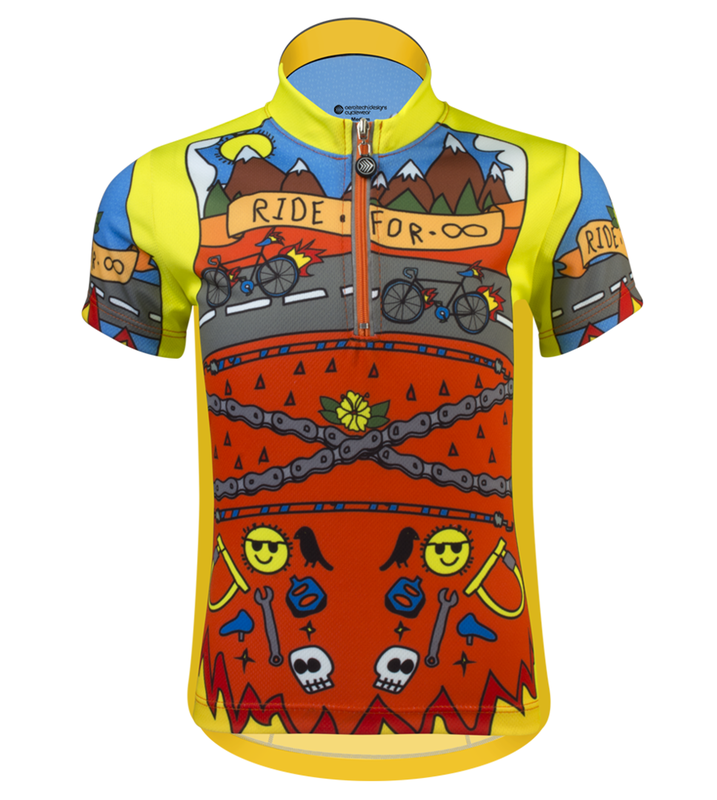 It also comes in exact Match for Adults and Big Sizes so this is a jersey for All Ages! 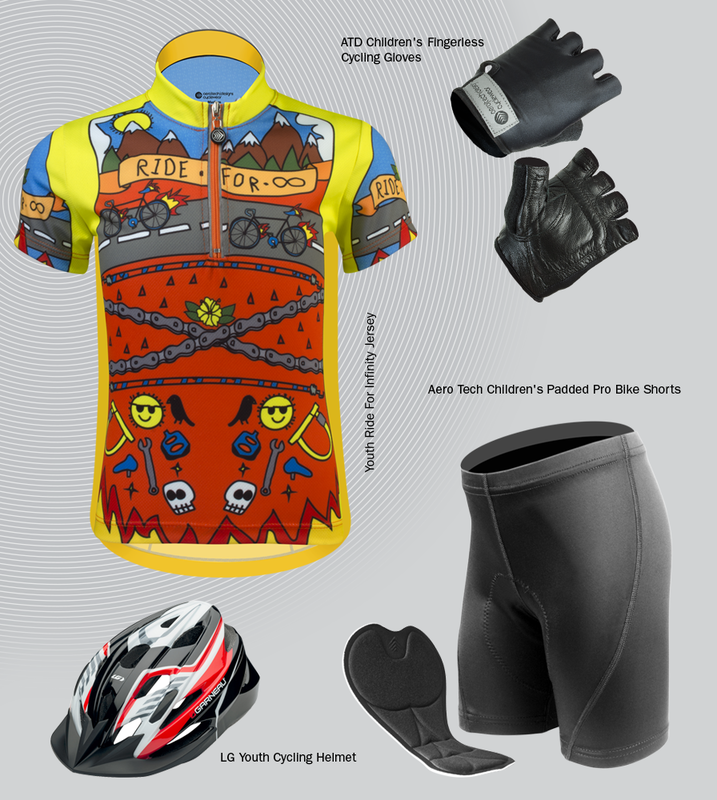 AeroDri™ is a technical material that manages moisture away from the skin and through the clothing for evaporation. Moisture management is one of the key performance criteria in today’s apparel. Moisture management is the process of transporting moisture away from the skin to the garments outer surface Moisture management often refers to the transport of both moisture vapor & liquid away from the body. Wetting and then Wicking is the nature of a technically designed fabric. In the heat summer and athletics, trapped sweat can heat up the body and lead to fatigue or diminished performance. When wearing a garment manufactured with AeroDri™ , the moisture vapor can pass through openings between filters of yarns. The polyester fibers are extruded in an angular shape and then knitted into a highly technical two stage fabric surface. The technical composition of fiber, fiber shape and knitting process all support the maintenance of body temperature. We bought this for our grandson for his birthday and he just loves it. It is extremely well constructed, perfect sizing, nice material and very cute design. He loves to dress like his dad when he cycles so this makes him very happy. We have a hard time getting him to take it off. I would highly recommend this product. Adorable and true to size. Nice fabric, can't wait to take him touring for 3 days in his cool new jersey.